Hi Everybody!! As you read this, I am sipping a nice cold cocktail by the pool in Vegas with my most favorite besties in the whole world. I am enjoying a kid-free adult weekend with my closest friends and family. But I would love to share this recipe with you, it's a favorite around here and always wins rave reviews...Marbled Cheesecake Brownies. It's a great combination of brownies and cheesecake. They are moist with a nice crusty crust over the top. Oh man, these are good. If it's not 110 degrees at your house and you want to turn on the oven this weekend, make these!! You won't be disappointed. 1. Preheat oven to 350 degrees. Line a 13x9 pan with waxed paper and grease the paper. 2. Melt chocolate and butter in a saucepan over low heat. 3. Meanwhile beat the eggs until fluffy. Gradually add sugar and beat until blended. Sift over the flour, salt, and baking powder and fold in. 4. Stir in the cooled chocolate mixture and vanilla extract. Set aside 2 cups of the chocolate batter. 5. To make the plain batter, cream the butter and cream cheese. 6. Add the sugar and beat until blended. Beat in the eggs, flour, and vanilla. 7. Spread the unmeasured chocolate batter into pan. 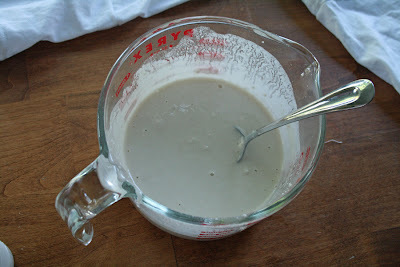 Pour over the cream cheese/plain batter. Drop spoonsfuls of the reserved chocolate batter on top. 8. Swirl the mixtures to marble. Do not blend completely. 9. Bake for 35-40 minutes until just set. Uncold when cool and cut into squares. 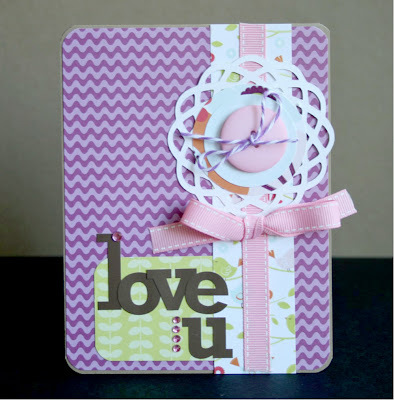 The challenge is to use a big shape somewhere on your layout. I used a big circle to draw attention to my photo. I also added a handmade flower and some fun bling! The papers are from the Pebbles line called Ever After. I love the pink and greens together and the felt embellies are so darn cute! So come on over to the message board if you are itching for a great scrappy challenge! My daughter is a big crafter. She loves it all...scrapbooking, coloring, drawing, writing stories, fuse beads, making jewelry, sculpty clay, baking, everything. Her and I were looking through a kids craft website trying to get some new ideas. 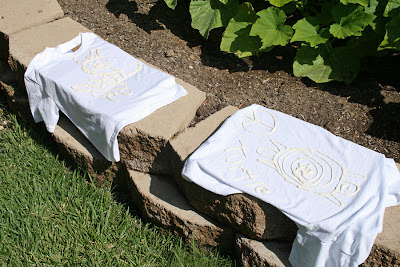 And we ran across these shirts...Solar Flare shirts. She immediately wanted to make them so we gathered up what we needed and ran with it. 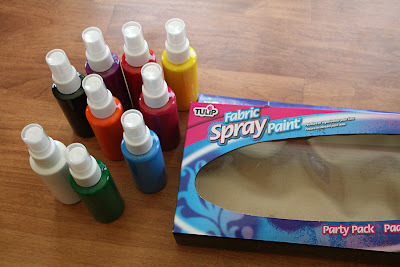 We got the shirts, fabric spray paint, and squeeze bottle at Michael's. Now this is an all day project. 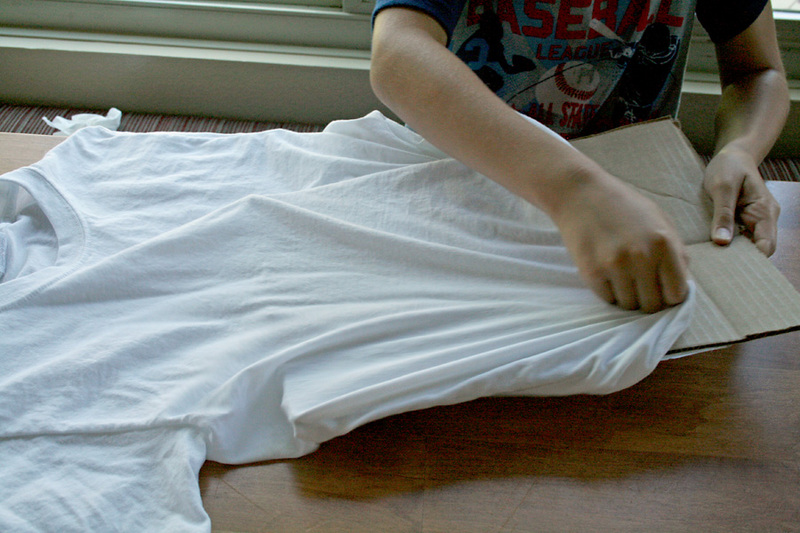 There are long stretches of time where you have to let things dry. I had to temper my kids expectations a little bit, these aren't going to be finished in 20 minutes. Ready to see our shirts come to life? Okay...here we go! Put the cardboard between the layers of your shirt. Put 1 cup of flour into a big measuring cup. 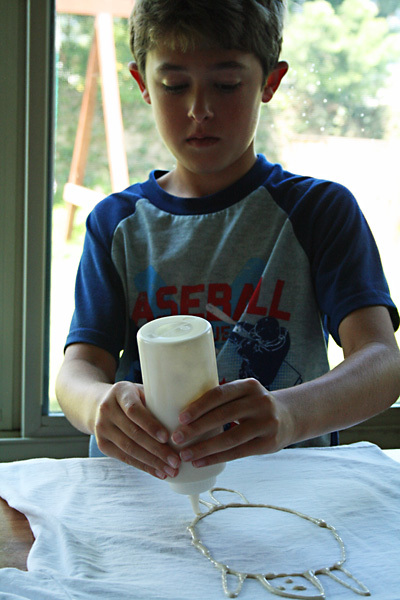 Add enough water to make a paste that will be fluid enough to squeeze from a squeeze bottle, but not too drippy. 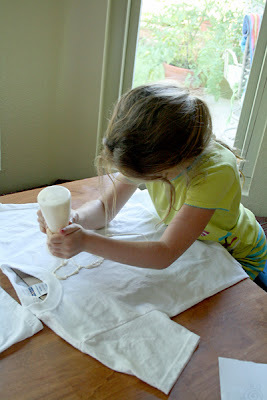 Add the flour/water mix to a squeeze bottle. 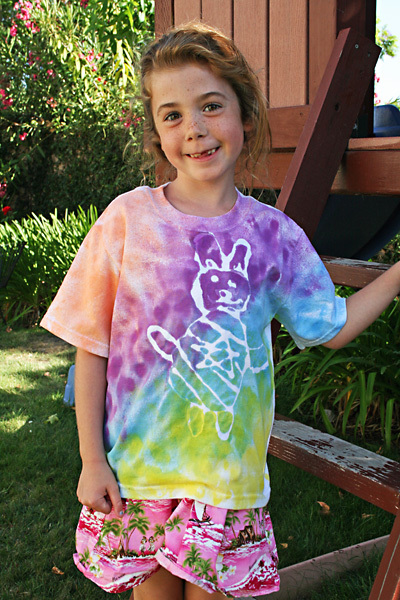 Let your kids squeeze out their design on the front of the shirt. I had my kids draw out the design on paper first, just to get them thinking about it. Otherwise I'm sure the designs would have been all over the place. 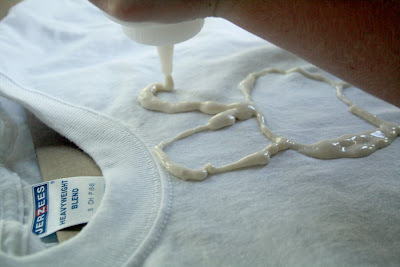 Keep the squeeze bottle low to the shirt and squeeze slowly. Once your designs are all complete, lay the shirts in the sun for about 4 hours. The flour/water designs need to dry completely. 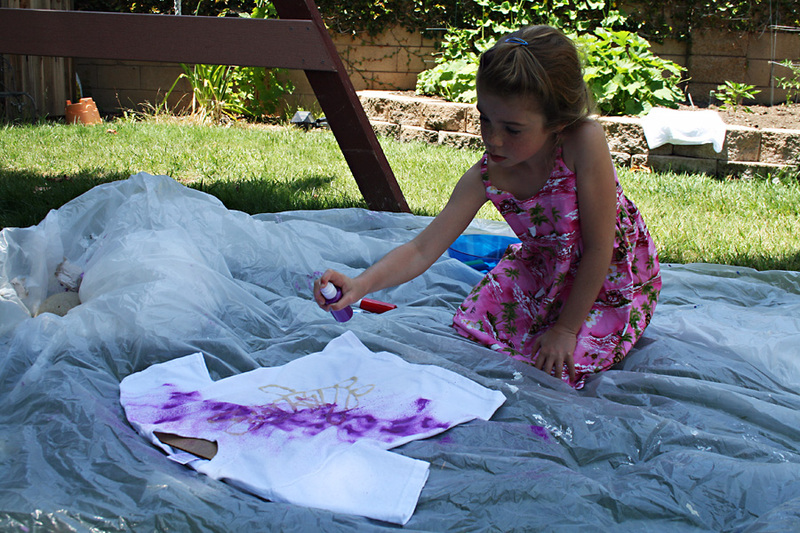 My daughter insisted they were dry after about 20 minutes, but you really need to let it dry! 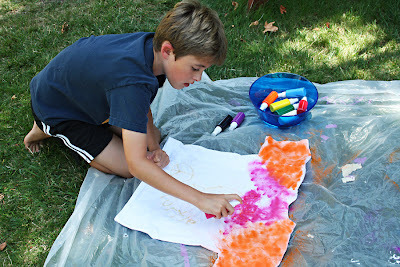 After the designs are totally dry, you are ready for the fabric spray paint! These spray bottles were super easy to use. Pick your colors and start spraying your shirts directly over the flour design. Now...let that dry. 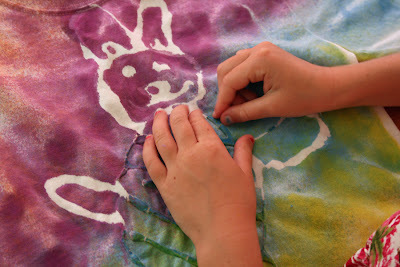 Pure torture for my kids to have to sit through another drying phase. Luckily, we had popsicles while we waited. Once the paint is dry, you need to peel off all the flour. This wasn't super easy. We had to bend the flour designs so they cracked, then peel the hard flour. My kids were very patient with it and actually did a great job getting all the flour off. The goal is for the design to pop off the newly colored shirt. What do you think? Kayla's shirt turned out better and I think it's because she wasn't so heavy handed with the spray paint. She did more of a light spray while Kevin really saturated his shirt with the spray paint. Next time I would have him go easier with the paint. But they both really loved how they turned out!! 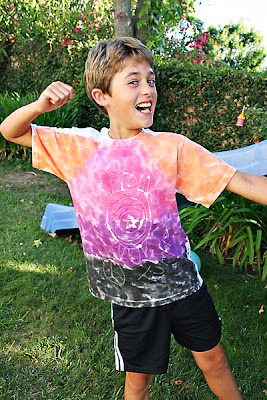 Kevin's looks more like a tie-dye shirt and he thinks it's cool you have to find the hidden design. So there you have it, Solar Flare shirts. It was a really fun craft and my kids had a ball. Let me know if you try it with your kids!! There will be more challenges posted tomorrow morning and you will have until Sunday night to get any or all challenges completed. 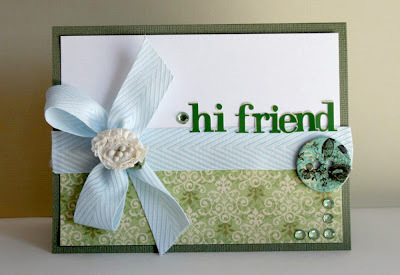 I will have a gift tag challenge tomorrow, so please stop by and say hi! Lots of great prizes to be won. Hope you had a great weekend. And Merry Christmas!! Happy Wednesday everyone!! I have been on vacation for the last 5 days, visiting family. We had a great trip and I am hoping to get my photos downloaded and edited soon. I hope to share some on the blog! Now I have to get my brain ready to go back to work tomorrow morning. No easy feat, that's for sure. 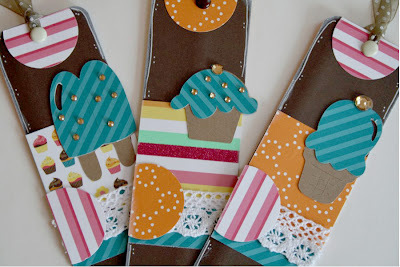 I have some bookmarks to share today that I made using the American Crafts Confetti collection. I loved the colors (I think I say that all the time!) but didn't really have any birthday photos to scrap. 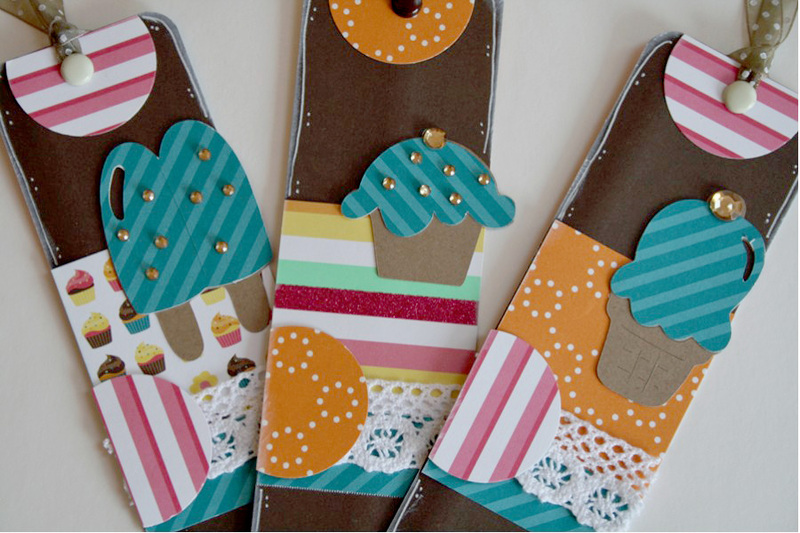 So I made some fun bookmarks for my kids and myself. I cut long rectangles and rounded the corners and went from there. 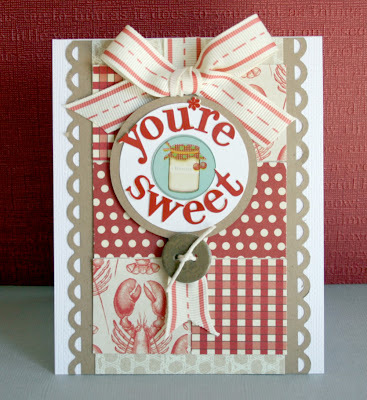 I used my Cricut to cut the sweet treats and added some jewels for sparkly accent. I didn't want these to be too thick, because they are supposed to lie flat between the pages of my favorite book. My kids like them, too!! I hope you've all been having a great summer. I am hoping to play catch up on all your blogs this week. Thanks for stopping by! Happy Friday Everyone!! How is your summer going so far? This week has been kinda cold and drizzly, but the weather seems to be looking up for the better. Yeah for summer sun! I have a layout today that uses some of my favorite photos. My sister-in-law took these photos of my kids and my niece during one of their visits. I enjoy using wallet sized photos on my layouts because I can add more photos and not be crowded. Wallets are the best for that. I used the American Craft Abode line for this layout, I love the bright colors. And I love how the opposite side of the papers have a solid color that coordinates. So easy to put together a layout with these papers! I made some rolled flowers for the tag and added lots of jewels around the layout. And more doilys cut with my SCAL software! I love how close in age all 3 of these cuties are. I hope they group up to remain great friends! Hope you're having a fabulous Friday!! Thanks for stopping by! If you are a Websters paper lover, the Citrus Tree Studio July "Memories of Longwood' kit is for you!! Here are a few cards I made with this kit. 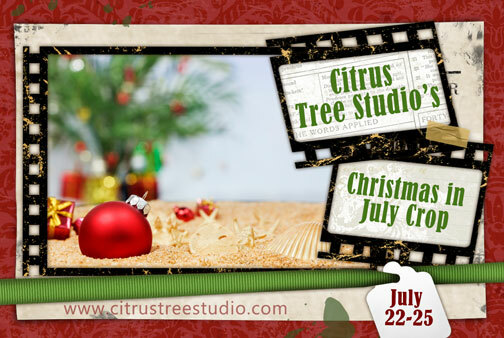 Come on over to Citrus Tree Studio and check out all the DT creations. There is also another fun kit available this month called Summertime Fun you might want to check out! I make alot of crafty things for my daughter. It's so easy with all the fun flowers and girly scrapbooking stuff out there. But I think my son feels a bit left out (even though he would never admit it). So I resolved to make him something that wasn't girly but he could have in his room. I ended up with this name banner. The colors of the Good Day Sunshine collection from My Mind's Eye was perfect. As was the paper with guitars, and woody beach cruisers! 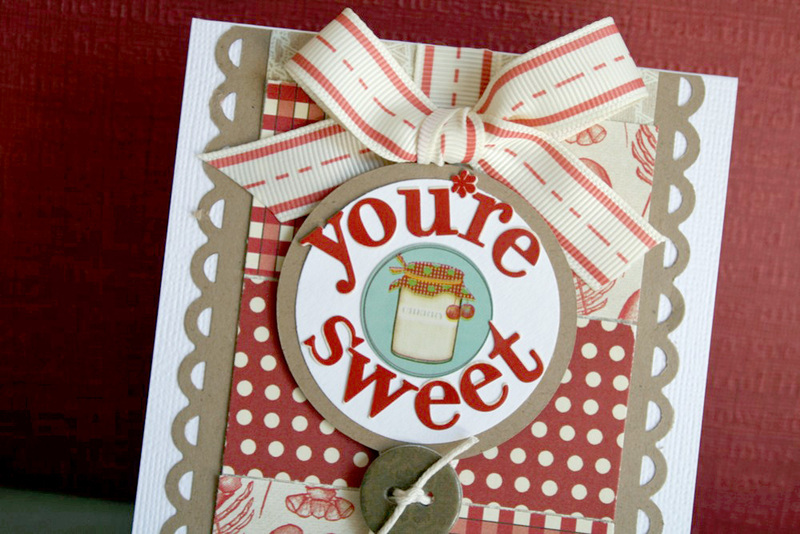 I used a Little Yellow Bicycle chipboard banner album for the base of the banner. Lots of mod podge and patterned paper later, the banner came together. I used my Cricut and the George and Accents Essentials cartridges to cut all the shapes. The font is from the Cuttin' Up cartridge. Do you want to know the hardest thing about this banner? Getting a good photo of it!! Everyplace I tried to hang it was just plain wrong so I had to put it on the ground. That concrete sure is beautiful, isn't it??? My son was fired up when he found out this was for him. I was so happy to hang it in his room wherever he wanted it. He will be 10 in December so I wasn't sure if he was going to be 'too cool' for it or not. Thankfully, NOT!! 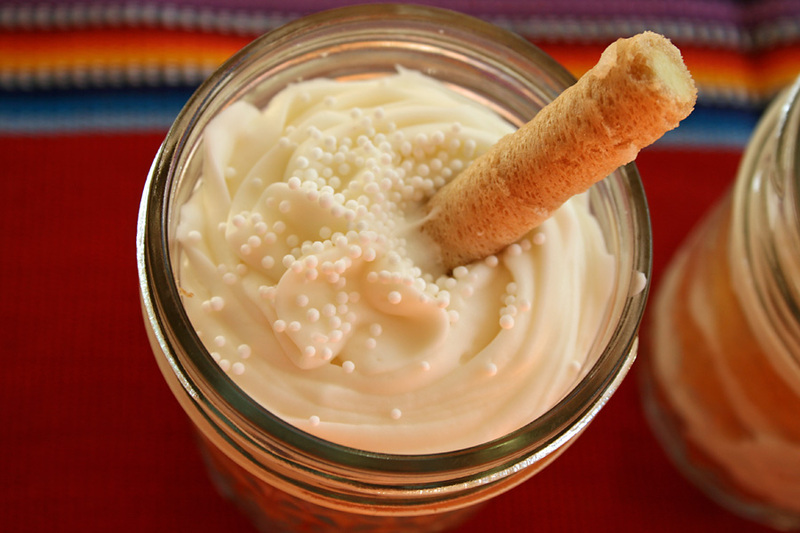 Remember when the only thing people ate/drank from a jar was moonshine? 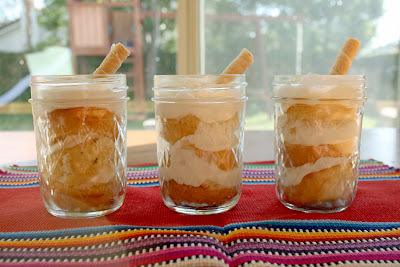 Me neither, but serving and baking things In A Jar is a hot trend right now!! 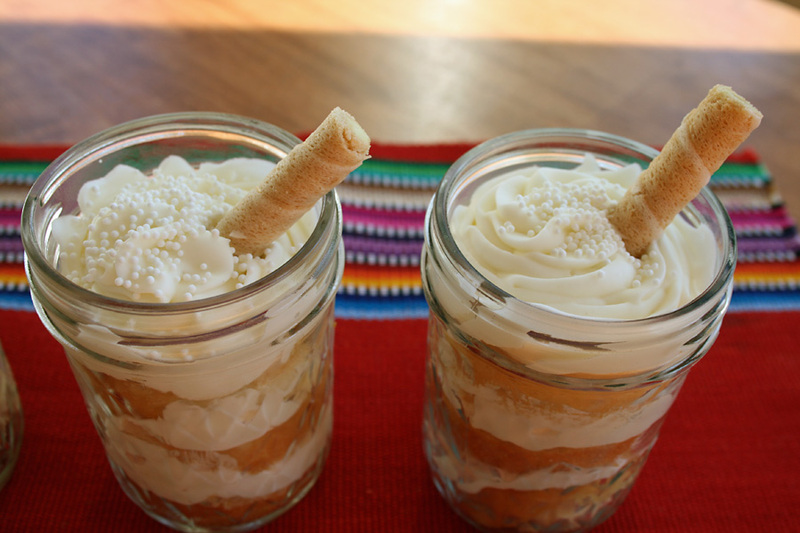 Just look through Pinterest and you will see all sorts of things in jars...buttons, pies, cheesecake, cornbread and chili. But the one thing that caught my eye was Cupcakes In A Jar. I rushed immediately to my kitchen and got to work. I used this recipe from My Baking Addiction for Lemon Cupcakes as a starting point. I made the cupcakes as in the recipe, then I made my standard cream cheese frosting and added freshly squeezed lemon juice. I added the lemon until it was to my liking. And I liked it tart and lemony! I baked the cupcakes with no liners. I let them cool, then sliced them all in half. I took clean half pint jars and started layering. 1/2 cupcake...swirl of frosting...1/2 cupcake...swirl of frosting...1/2 cupcake...big swirl of frosting with white sprinkles and a long lemon cookie. The layers don't have to be perfect. 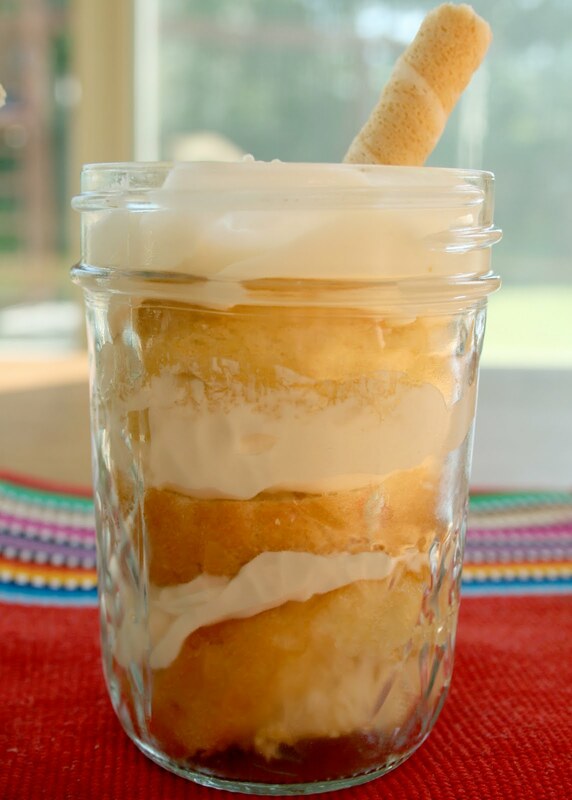 I found some of my cupcake tops didn't fit in the jar, so I just trimmed them. If you feel like this might be frosting overload, just add enough between layers to have a nice visual break between layers, then add a big swirl on top. Just imagine the possiblities with these...holiday layered cupcakes, baby showers with cute pink and blue frosting inbetween layers, chocolate cupcake with peanut butter frosting inbetween. Endless combinations! You could even leave off the cookies, and close the top and give them away as teacher gifts or neighbor gifts. I also will have to admit I made a 5 layer jar using a pint jar and that one was delicious. And put me into a sugar coma. I don't recommend that kind of jar for just anyone. I've had these Pebbles scraps on my scrap table for a while now because I love the paper so much I couldn't stand to part with it. And scraps are the best when you want to whip up a few cards. So whip up I did. I cut the doily on my Cricut using my SCAL software. I got the free doily svg files at My Grafico. 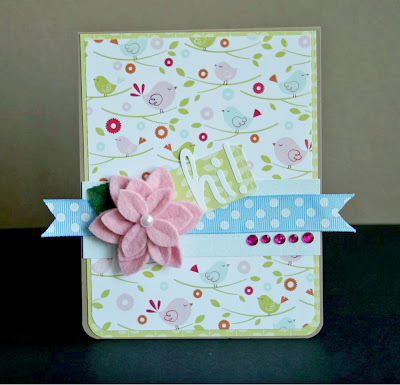 By adding some fun ribbon, I had a fun doily flower! I also just had to use this cute bird patterned paper, isn't it so cute?? 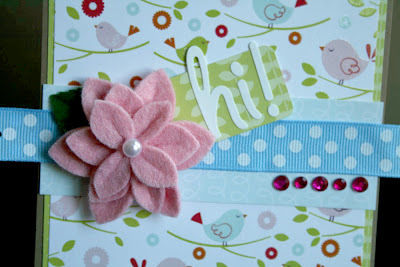 Some ribbon and a big layered felt Maya Road flower that i've been hoarding forever rounded out my card. Yeah for paper scraps!! Thanks for stopping by today! Hi Everyone!! How was your holiday weekend??? We've been so busy with lots of fun parties and celebrations. Our little town celebrates on the 3rd and our neighbor always has a big party. And we hung out with family on the 4th. It's been a fun, busy weekend. 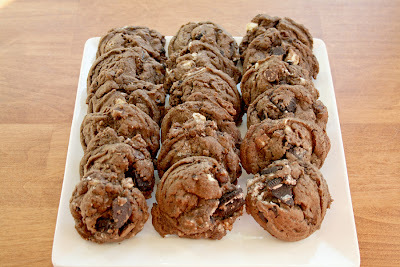 Today i'm going to share these amazing chocolate cookies that I made last week. 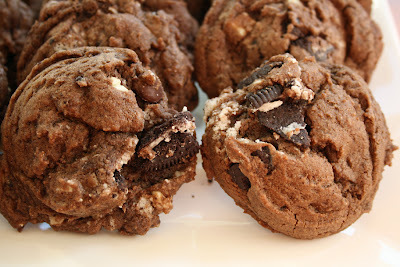 They are by far the best chocolate cookies I have ever made. So chewy and moist and filled with chocolatey goodness! Cocoa powder, chocolate chips, white chocolate chunks, and chopped oreo cookies. Triple whammy chocolate extravaganza!! I have some of these in the freezer right now, just waiting for some good friends to arrive tonight. I hope they enjoy them as much as I did!! 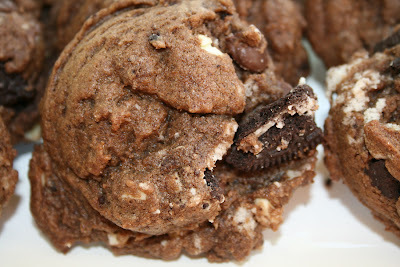 The recipe is located on the 2 Peas & Their Pod food blog: Triple Chocolate Oreo Chunk Cookies.